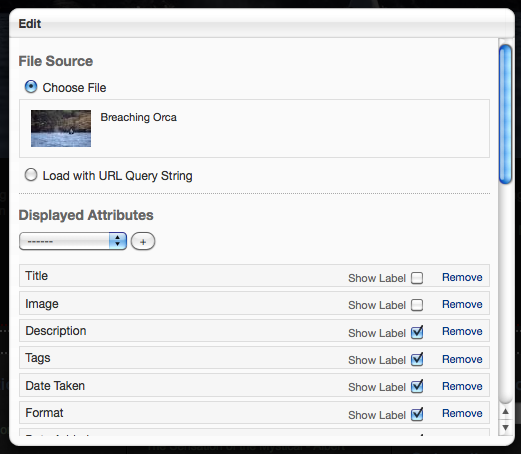 Easily display any properties or attributes of a file. 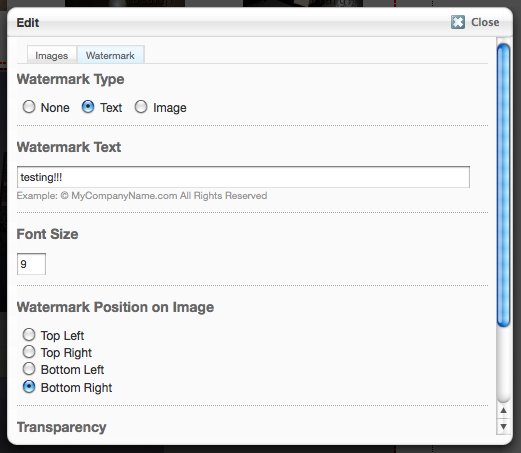 Great for making a standalone image or file details page to help with search engine indexing. With the File/Image Details block, you can choose from a list of properties (like title, description, tags, date added, file size, file name, and download link) and custom attributes, drag them into any order, and optional provide a label for each detail item. 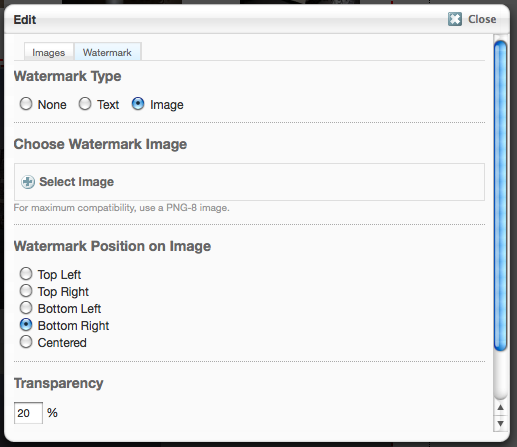 You can also now add Digital Watermarks to protect your images, by using text like your company name or an uploaded image as a semi-transparent overlay! 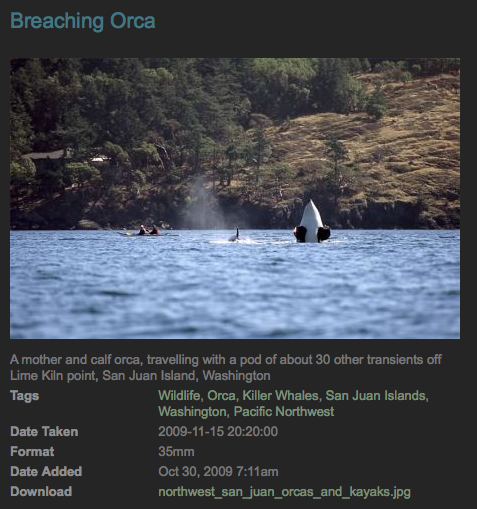 Some of the detail types then provide further options, such as a max width and height if you want to display and image, or link the image to another url. It also gives you control of the styling, including title color/style (h1, h2, bold etc), label color/width/bolding. 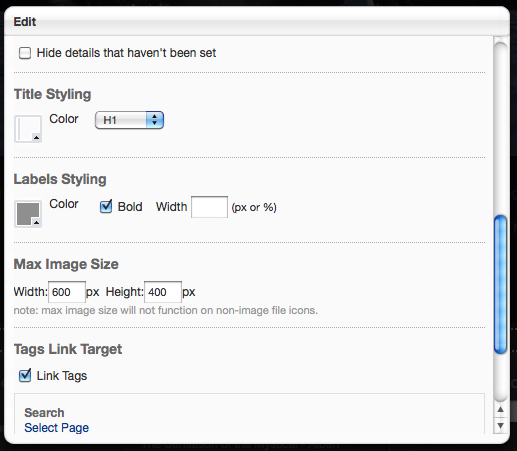 If you are using tags with your files, you can ever specify a target page to go to when a tag is clicked. For selecting the source file or image, you have two choices: you can select one manually, or you can have it dynamically load any image based on a query string variable (so you don't have to make a seperate page for each file). Integrates well with the Billboards, Image/File Search, and ProPhoto blocks, all of which you can buy at a 30% discount in the Photography / Image Gallery Package.